This article explains how to add google analytics to your wordpress blog in order to measure, monitor and analyze your traffic stream. If you have a blog but you’re not using any kind of service to measure your traffic then you’re driving in the highway with your eyes closed. 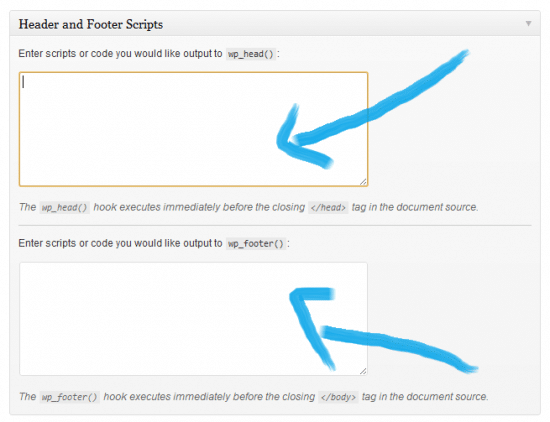 By default, wordpress gives you the opportunity to measure stats by installing their Jetpack plugin. Jetpack, in fact, is quite good, and allows you to check referral traffic and the keywords used in search engines that arrive at your blog. However, if you want to go to big, you need o use great tools, and I can’t think of a better tool to monitor and analyze your website’s traffic than Google Analytics. In this article, I’ll show you how to add Google Analytics to your wordpress blog in an easy way. 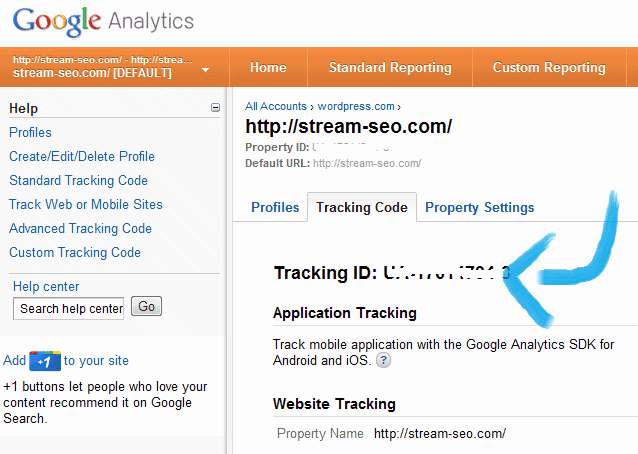 OK, now that you have you new Analytics account, you need to create a profile and add your website URL to it. That’s pretty much self-explanatory, so I won’t dig into it. However, after creating your account and adding your website’s URL, you’ll need to add the code to your website. In fact, Google allows you to put your tracking code and start measuring your traffic the next day after installing their code, however, they rely on you to add the code, and won’t verify to make sure if it’s working properly. In my case, I use the Genesis Framework to have a better website. The Father theme allows me to add this code wherever I want without problems, but if you’re not using a premium theme or you can’t afford it, then let me present you the following plugin: All in One Webmaster. Adittionally, you can add another webmaster tools from Alexa, Google or other engines, so it’s quite good and it’s totally free. So, once you install All in One Webmaster plugin in your blog, go to the settings page and straight to the Analytics Options. Remember that Analytics ID I told you to copy at the beginning of the article? Well, it’s time to get it and copy it on the Google Analytics form. What other resources have you tried to measure your website’s traffic? Do you really analyze them or you just watch the numbers? Please let us know in the comments and share if you find this article useful. Great post. I would also add that because the GA is now asynchronous, placing the tracking code in the header is much more beneficial. This ensures that for slow pages (hope that’s not you), the GA code fires before someone moves from that landing page to the next page on your website / or bounces. Thank you for your comment, Jackson. Yes, definitely that would help you get more accurate statistics on your bounce rate, and that’s something you don’t want to miss. However, right now I’m using GA with the All in One Webmaster Plugin, so no need to put it manually on my header or footer. I wrote this article thinking on the people who might not have the same plugins as I do.